Signed by Phil Jimenez with COA!!!! 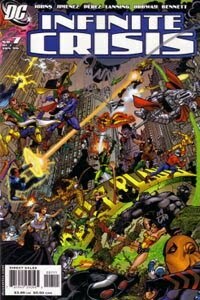 A Dynamic Forces Edition copy of DC's white-hot Infinite Crisis #7!!!" This copy of issue #7 has been signed by Phil Jimenez and is #119 of only 699 in existence!!! The book comes sealed in original packaging and includes Certificate of Authenticity!!! 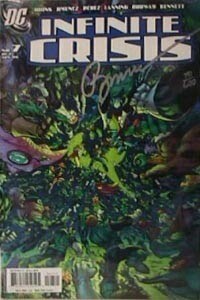 INFINITE CRISIS #7 - SIGNED BY AWESOME ARTIST PHIL JIMENEZ! The top selling DC series of '05 shines with phenomenal art by Phil Jimenez! The awe-inspiring conclusion to the miniseries event of the year! What more can be said!?!!??!!?!?! ?